The final Group 1 race of the season, the Racing Post Trophy, takes place at Doncaster on Saturday but, given the high percentage of winning favourites in recent years, we’ve decided to look a little further afield for this week’s selections. Over at Aintree, the Betfred Monet’s Garden Old Roan Chase features a dozen runners, only two of whom have run recently, so it’s the sort of race that could throw up a surprise winner. Viva Colonia (33/1) is 4lb out of the handicap proper but, even so, is still only 4lb higher in the weights than when third, beaten 2½ lengths, in this race last year. That form entitles him, once again, to beat the fourth, Mr Moonshine, the sixth, Wishfull Thinking, and the seventh, Edgardo Sol and he should be fairly straight, having had a spin on the Flat at Newcastle earlier this month. He hasn’t won for a while and a drop of rain probably wouldn’t hurt his chance, but that’s all factored into his price and his chance is, perhaps, not quite as forlorn as the bookmakers would have you believe. Fellow ‘rag’ Lucky William (25/1) was a Grade 1 winner over fences at Punchestown at the end of the 2011/12 season, but wasn’t seen again until finishing last of eight, beaten 65 lengths, behind Simenon, over hurdles at Tipperary in July. Thomas Cooper’s 10-year-old got no further than the third fence when sent back over the larger obstacles in the Grade 2 PWC Champion Chase at Punchestown three weeks ago, but it’s interesting that connections are persevering with him and he’s a rare runner on this side of the Irish Sea for the Co. Kerry trainer. Bold Sir Brian (20/1) was mooted as a possible Cheltenham Gold Cup contender after winning the Sportingbet Future Stars Chase at Sandown during the 2012/13 season, but his form tailed off afterwards and he returns from an absence of 554 days. He’s clearly had his problems, but he’s dropped 6lb in the weights and it’s worth remembering that subsequent Hennessy Gold Cup winner Triolo D’Alene (rec. 2lb) could finish only third, beaten 19 lengths, at Sandown. Obviously, the case for him is by no means watertight, but he’s won after a break several times in the past and it’s probably too soon to be writing him off just yet. The Old Roan Chase promises, as usual, to be a fascinating and informative contest, but our three against the field this week are, in no particular order, Viva Colonia (33/1 generally available), Lucky William (25/1 generally available) and Bold Sir Brian (a standout 20/1 with Paddy Power. If those three happen to fill the first places, it might be a little while until you hear from us again! Good luck!! QIPCO British Champions Day at Ascot is typically more about quality than quantity. However, the last race on Saturday’s card, the Balmoral Handicap, has a maximum field size of 30 and provides us with another opportunity to unearth, or at least try to unearth, a long-priced winner. 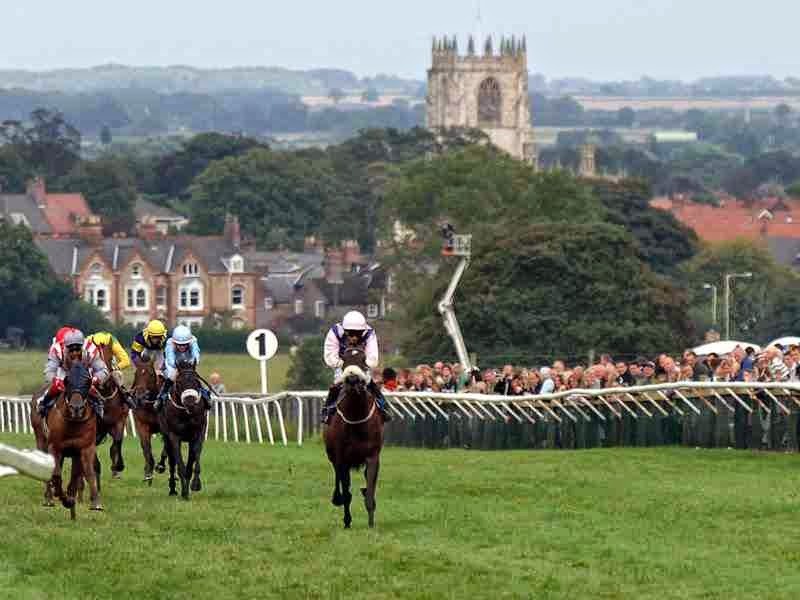 Hawkeyethenoo (33/1) won over 1 mile 100 yards at Beverley as a three-year-old, when in the care of Michael Easterby, but has not been tried over further than 7 furlongs in the five years since his transfer to Jim Goldie. However, the eight-year-old has suggested on recent starts – particularly his penultimate start, over 7 furlongs, at Ascot – that a step up in distance could be what he needs at this stage of his career. He’s only won once with ‘soft’ in the going description, but has run well enough on soft going to suggest that testing underfoot conditions at the Berkshire track won’t hinder his chance. From a handicapping perspective, he’s 4lb lower in the weights than when edging out Imperial Guest in the Stewards’ Cup at Goodwood two seasons ago, so a belated return to the winners’ enclosure at Ascot may not be entirely out of the question. Farlow (50/1) is by the top-class Australian sprinter Exceed And Excel, but nevertheless has some decent form over a mile, including on soft going, and may have been underestimated by the bookmakers. Richard Fahey’s six-year-old is just 1lb higher in the weights than when finishing fourth, beaten 3½ lengths, behind Brae Hill in the William Hill Spring Mile at Doncaster in March and ran his best race for a while when third, over 7 furlongs, at Ayr nine days ago. He’s the least fancied of three entries from Richard Fahey’s Musley Bank yard but, thankfully, he doesn’t know that and he could go well at extravagant odds. German import Empire Storm (33/1) ran his best race since joining Michael Attwater when second in the Totepool Challenge Cup, over 7 furlongs, at Ascot two weeks ago and is another who looks overpriced in the ante post market. His third, beaten 2¼ lengths, behind Custom Cut in a Listed race, over 1 mile 67, at Windsor in July makes good reading in light of the subsequent exploits of David O’Meara’s gelding and, although 2lb higher in the weights this time, looks far from impossibly handicapped. A testing mile on heavy or soft going should play to his strengths and, although he hasn’t won for over two years, it’s surprising that he’s such a big price. Anyway, for richer for poorer, our three against the field this week are, in no particular order, Hawkeyethenoo (33/1 generally available), Farlow (50/1 with Coral) and Empire Storm (33/1 generally available). Of course, if you’re in search of even bigger prices, it may be worth having a dabble on Betfair, or the Tote, on Saturday. Good luck! Two favourites, Detroit City in 2006 and Darley Sun in 2009, have won the Cesarewitch in the last ten years, but winners at 66/1 (twice), 50/1, 25/1 and 16/1 (twice) in the same period suggest that an extravagant starting price is not, necessarily, an obstacle to victory. As usual, the prestigious staying handicap has attracted a bevy of interesting contenders, but we’ve highlighted just a few that took our eye. The one that immediately leaps off the page is Waterclock (50/1), who finished second, beaten 3 lengths, behind Scatter Dice in this race last year and, in so doing, fared by far the best of those ridden prominently. The Notnowcato gelding showed next to nothing on his first four starts for Jedd O’Keefe, having been transferred from Roger Charlton in April, but hinted at a revival when fourth, beaten 9¼ lengths, behind the progressive Moscato at Newcastle last month. Obviously, backing him requires a leap of faith, but he is clearly a talented stayer on his day and merits serious consideration, off a 6lb lower mark than last year, if the Middleham Moor trainer has him back to anything like his best. Speaking of leaps of faith, Very Good Day (50/1) also has the form to figure prominently if you’re prepared to look back far enough. The Sinndar gelding ran just once for Mick Channon last season, finishing down the field in the Chester Cup, and it was a similar story on his first run for Richard Fahey, in the Group 2 Doncaster Cup, last month. He was clearly way out of his depth on the latter occasion, but happily bowled along at the head of affairs until weakening quickly in the closing stages. Back in a handicap, with a recent run under his belt and 1lb lower in the weights than when second, beaten 1½ lengths, at York two seasons ago, he’s another who could belie generous odds. Jonny Delta (50/1) is officially 1lb out of the handicap, but is due to be ridden by talented apprentice Joey Haynes, who can ride at 7st 9lb and should be able to claim all of his 3lb allowance. Jim Goldie’s 7-year-old finished a never nearer seventh, beaten 6 lengths, in this race last year, despite racing from 3lb out of the handicap and being denied a clear run in the final quarter of a mile. The Sulamani gelding ran his best race of the season when stepped up to beyond 2 miles for the first time since when beaten just half a length, over 2 mile 1½ furlongs, at Ayr last time and appears to have been trained with this race in mind. A line through the winner at Ayr, Nashville, gives him a little to find with Rhombus but, at more than three times the price, Jonny Delta looks far from a forlorn hope. In summary, our three against the field for this week are, in order of preference, Jonny Delta (50/1 with Bet365, Sky Bet, Boylesports, Betvictor, Paddy Power and Stan James, Waterclock (50/1 with William Hill) and Very Good Day (50/1 with Betvictor, Stan James and William Hill. Good luck! The Totepool Challenge Cup, run over the straight 7 furlongs at Ascot, is invariably about as competitive as they come, so it’s slightly surprising that the race has only thrown up two winners at ‘silly’ prices – Candidato Boy at 50/1 in 2007 and Advanced at 33/1 in 2009 – in the last ten years. However, the prospect of unseasonably fast ground creates further complication for connections alike so, as usual, we’ve put up two or three runners who could go well at generous odds. Eastern Impact (20/1) is a horse we’ve followed with some interest this season, but Richard Fahey’s three-year-old finished stone cold last, and a long last at that, on his first attempt against his elders in the Ayr Gold Cup two weeks ago. That run was, frankly, too bad to be true and, provided he’s recovered from whatever was ailing him at Ayr, he looks well worth another chance. He finished strongly to win a similar grade handicap, over 6 furlongs, on the July Course at Newmarket on his previous start, despite being hampered and denied a clear run in the closing stages, so he looks far from impossibly handicapped off a 5lb higher mark. The step up to 7 furlongs represents a step into the unknown, especially on a testing track such as Ascot, but his pedigree and his style of racing suggest an extra furlong may well be within his compass. We’re also fans of Heavy Metal (20/1), although it would be fair to say that Mark Johnston’s four-year-old hasn’t cut much ice since just being touched off, over a mile, a Goodwood four starts ago. However, his previous winning form over 7 furlongs, including over course and distance in July, suggests that he’s feasibly weighted off a handicap mark of 98 and he could go close if back to anything approaching his best. He’s won on good to firm, good and good to soft going, so he should be suited by underfoot conditions whatever the weather in the South East and looks one for our shortlist. Last, but hopefully not least, Sirius Prospect (25/1) also has winning form over 7 furlongs on a variety of ground and is only 1lb higher in the weights than when winning over a mile at Kempton last November. The Gone West gelding has run creditably in defeat on his last three starts, including at Newbury last month, when returning from a break, and may be ready to strike at the sixth time of asking this season. He won five times over shorter as a three-year-old, but 7 furlongs or a mile suits him better these days, so the uphill climb from the top of the home straight to the furlong marker at Ascot should be ideal. In summary, our three against the field this week are, in no particular order, Eastern Impact (20/1 with William Hill), Heavy Metal (20/1 generally) and Sirius Prospect (25/1 generally). The Betfred Mile (3:05 Goodwood, Friday) is a few days away but, with 66 entries at the 5-day declaration stage and 11/1 the field ante post, we couldn’t resist having an early look. The first one that takes our eye is, naturally enough, topweight Farraaj (16/1), who has the steadier of 10st 0lb, but carries just a 3lb penalty for winning the John Smith’s Cup at York earlier this month. That was his second impressive handicap win in a row and, while a mile is arguably on the short side for him these days, the likely fast pace could bring his proven stamina into play in the closing stages. At the same price, Heavy Metal (16/1) has returned to something like his best on his last two starts and is another who carries just a 3lb penalty for winning the International Stakes, over 7 furlongs, at Ascot last Saturday. He had a few of these behind on that occasion and, having won over a sharp mile at Brighton, he promises to be equally effective on this vastly different course. He is just one of seven entries for Middleham Moor trainer Mark Johnston, but if he does line up he must have a decent chance of completing a quick-fire double. Heaven’s Guest (20/1) finished just 1½ lengths behind Heavy Metal at Ascot and reopposes on 2lb better terms. That, in itself, shouldn’t be quite enough for him to reverse the form, but the way he stayed on in the closing stages suggested stepping up to a mile could be exactly what he wants at this stage of his career. He’s only 2lb higher in the weights than when winning the Bunbury Cup on the July Course at Newmarket two weeks previously and is pretty much in the form of his life. At much longer odds, St. Moritz (40/1) could only finish seventh, beaten 6 lengths, behind ante post favourite Velox at Sandown last time, but is 11lb better off and, if ridden with slightly more restraint, must have every chance of reversing the form on this much sharper track. Admittedly, he didn’t do his handicap mark much good when winning back-to-back handicaps in May and June, but wasn’t beaten far at Sandown off a 2lb lower mark on his penultimate start and appears to have been underestimated by the layers. Last, but hopefully not least, I must confess to having a soft spot – possibly between my ears – for Excellent Guest (66/1). The Exceed And Excel gelding is clearly smart when on song, as he demonstrated when winning the Victoria Cup, over 7 furlongs, at Ascot on his reappearance last season off a 1lb higher mark. Unplaced runs in the Victoria Cup and Buckingham Palace Stakes so far this season don’t inspire much confidence, but outsiders is what we’re all about and he’s definitely one of those. So, for our three against the field this week, we’re going for Farraaj, St. Moritz and Excellent Guest, in no particular order. Good luck! One outright favourite and one joint favourite has won the Scottish Sprint Cup at Musselburgh since 2004, but other winners in that period went off at 50/1, 28/1, 25/1, 20/1 and 16/1, so it’s a race that’s right up our street. This year’s renewal, due off at 3.35 p.m. on Saturday, June 14, has attracted 17 runners and, with all bar one of them priced up at 10/1 or longer odds ante post, we should be able to find a few that represent value. It’s interesting to note that, despite the apparent absence of any draw bias over 5 furlongs at Musselburgh, especially on soft ground, seven of the last 10 winners were drawn in stall 10 or higher. This fact hasn’t escaped the notice of the bookmakers and, predictably, the seven longest-priced horses in the ante post market are drawn in single-figure stalls. Dinkum Diamond (20/1) has never won a handicap, although he was beaten just two necks in the Investec Specialist Bank “Dash” at Epsom, off a 10lb lower mark, last June. Despite a couple wins at Listed level, the Aussie Rules gelding has repeatedly failed to make the transition to Pattern company, but has his sights lowered again, so could go well at rewarding odds even under 9st 10lb. Musselburgh is arguably on the sharp side for him, but there’s unlikely to be any hanging about here and the faster they go the better for him. Former Prix de l’Abbaye de Longchamp winner Tangerine Trees (16/1) is on a losing run of 10 and only 6lb better off for the 4 lengths he finished behind the ante post favourite Caspian Prince in this year’s Investec Specialist “Dash” at Epsom, so doesn’t exactly leap off the page as a readymade winner-in-waiting. However, he’s run well on both visits to Musselburgh, including a win in the Totepool Borderlescott Sprint Trophy over course and distance last March, so an improved performance would be no great surprise. He’s nicely drawn in stall 16, has winning form over 5 furlongs on good to soft and soft going and looks fairly weighted, off a handicap mark of 99, if anywhere near his best. Former Stewards’ Cup winner Hawkeyethenoo (16/1) is another who hasn’t won for ages, but the last time he raced over 5 furlongs on soft going, at Doncaster last October, he was beaten just half a length off his current mark of 105. We’re reliably informed, by our friends at the BBC, that heavy rain is forecast for East Lothian on Thursday and Friday, so he could have ideal conditions by Saturday afternoon. Believe it or not, his course and distance win came as a three-year-old off a handicap mark of 54, so isn’t really significant, but he’s another who’s well-drawn in stall 15 and can prove a popular winner for East Renfrewshire trainer Jim Goldie. The Scottish Grand National, run over 4 miles 110 yards, is the highlight of this Saturday’s card at Ayr and the presence of Tidal Bay, who concedes 19lb and upwards to his rivals, means that eighteen of the thirty runners race from out of the handicap. However, Joes Edge (2005) won at 20/1 from 5lb out of the handicap and Iris De Balme (2008) won at 66/1 from 26lb out of the handicap, so we shouldn’t necessarily be afraid of backing horses carrying more weight than that to which they’re entitled at long odds. The first one that took our eye this week was actually the second reserve, Scotswell, who beat subsequent winner Fentara in a decent handicap chase, over 3 miles 2 furlongs, at Kelso three weeks ago and ran well when second, beaten 6 lengths, in the Scottish Borders National, over 4 miles, on the same course in December. However, even if he gets into the race, he’ll be 16lb ‘wrong’ at the weights, so even the 50/1 available generally doesn’t look overly generous. He’s actually 19lb worse off for 16 lengths with Green Flag on their running at Newcastle in November so, believe me, the bookmakers are giving nothing away. More realistically, perhaps, last year’s winner Godsmejudge is available at 18/1, in a place, in the ante post lists and clearly has a chance of landing a notable double. Alan King’s 8-year-old was a promising fifth, beaten 4½ lengths, behind subsequent Grand National fourth, Alvarado, on his seasonal reappearance at Cheltenham in November, but was pulled up on his next two starts. He reportedly suffered a setback on his latest start at Doncaster six weeks ago but, if fully recovered, he can make his presence felt off a handicap mark just 6lb higher than last year. The ability to hold a prominent position is a definite advantage around the twists and turns of Ayr and, in that respect, Godsmejudge makes no little appeal. At longer odds, last season’s Durham National winner, Lackamon, fell on his belated seasonal debut over 2 miles 4 furlongs at Ayr last month, but has had a couple of runs over hurdles in the last fortnight to put him right for this and appears to have a decent shout at 28/1. He remains 9lb higher in the weights than when winning at Sedgefield in April and Ryan Mania, who won on him that day, prefers Fill The Power, but he’s only 1lb out of the handicap and clearly stays all day. The quality of the entries for the Crabbie’s Grand National has risen in recent years, such that fifteen of the runners in this year’s renewal, due off at 4.15 p.m. on Saturday, are officially rated 147 or higher. However, the increase in quality hasn’t prevented horses at 33/1 (twice), 66/1 and 100/1 from winning the Aintree marathon since 2004, so we’ve thrown our hat into the ring with three or four we think could go well at fanciful odds. 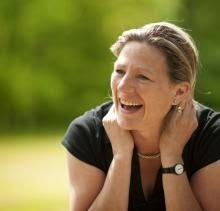 Of course, Sue Smith won the National last year with the now retired Auroras Encore, but the West Yorkshire trainer has realistic chances of landing a notable double with Mister Moonshine (50/1) or Vintage Star (50/1). Mister Moonshine is the choice of last year’s winning jockey, Ryan Mania and, although pulled up four out behind stable companion Auroras Encore in last year’s National, can reasonably be expected to do better this time around. 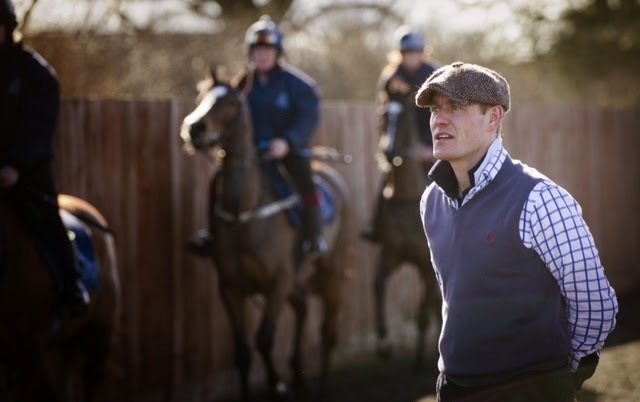 He stayed on well from the elbow when third, beaten 2¾ lengths, in the Becher Chase, over 3 miles 2 furlongs, on the National Course in December and has won two of his three starts since. He’s gone up 16lbs in the weights as a result, but the way he rallied when second in the Premier Chase, over 2 miles 7½ furlongs, at Kelso last month suggests he remains competitive off his revised handicap mark. He has his stamina to prove, but likes to race on, or close to, the pace and should go well for a long way. Stable companion Vintage Star weakened in the closing stages when only sixth, beaten 13½ lengths, behind Mountainous in the Welsh National, over 3 miles 5½ furlongs at Chepstow in December on his one and only attempt at a marathon trip. However, that performance came on heavy going and, unlike Mountainous, he’s also won on good and good to soft going, so he may be capable of better granted faster underfoot conditions. Like Mister Moonshine, his stamina for the extreme distance of 4 miles 3½ furlongs is a complete unknown and he comes into the race on the back of a fall, which isn’t ideal but, at 50/1, he may be worth chancing. It’s disappointing that, of forty runners (forty-four, including reserves), not one is on offer at odds longer than 100/1 in the ante post lists. However, One In A Milan is available at 100/1, in a place, so by way of cocking a snook at the skinflint bookmakers, we’re putting up Evan Williams’ 9-year-old as our third and final National pick. In fact, the Milan gelding ran well when fourth in the Welsh National and should be spot on for this after two ‘sighters’ over hurdles at Chepstow, so is by no means a forlorn hope. Vale of Glamorgan trainer Evan Williams saddled Cappa Bleu to finish second in the National last year and fourth the year before so, even on ground probably faster than ideal, One In A Milan is worth including, if only for pure devilment. In summary, our three against the field in the Grand National are, in no particular order, Mister Moonshine (50/1 with Boylesports and Ladbrokes), Vintage Star (50/1 with Boylesports and Sporting Bet) and One In A Milan (100/1 with Boylesports). Fill your boots boys. The Lincoln Handicap, run over a mile at Doncaster, is traditionally the highlight of the opening Saturday of the British Flat season. This year’s renewal, due off at 3.50 p.m. on Saturday, March 29, has attracted a maximum field of 22 runners and, as usual, presents a thorny problem for punters to solve. 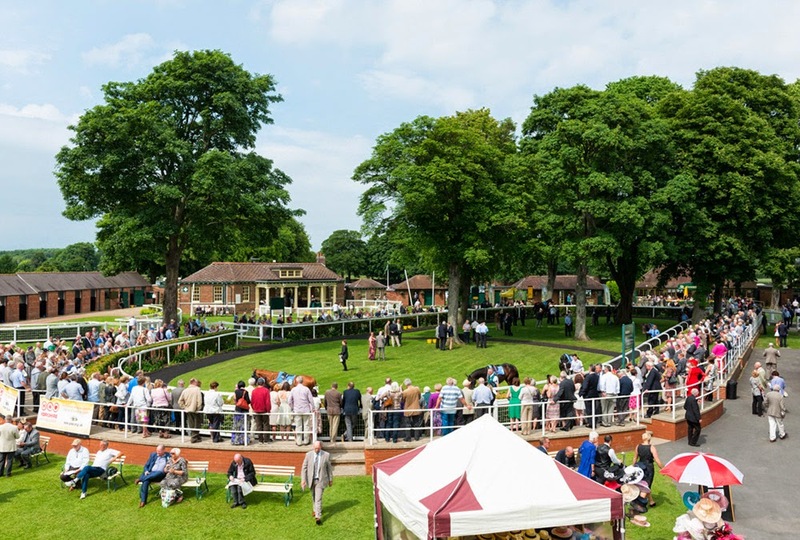 Indeed, the Lincoln Handicap has proved a positive race for outsiders in recent years, with winners at 16/1, 20/1 (twice), 22/1 and 25/1 since 2004, so we’ve short-listed two or three that could belie generous odds by running well. The first one that takes the eye is David Barron’s 7-year-old Tres Corona (20/1), who made a promising return to action when ninth of thirteen, beaten 4¼ lengths, behind Whispering Warrior in the Lincoln Trial Handicap at Wolverhampton three weeks ago. He’s entitled to improve for that run, his first since September, and is 5lb better off with the winner this time around. Admittedly, he’s 13lb higher in the weights than when winning at Chester last May, but he was only beaten 2 lengths in the Cambridgeshire off a 3lb lower mark on his final start last season, so he could still be feasibly weighted. Any rain on Town Moor would be in his favour and, interestingly, he’s reunited with Philip Makin, who was the last jockey to win on him. At even longer odds, Sweet Lightning (33/1), joined North Yorkshire trainer David O’Meara from Johnny Murtagh in December and has been campaigned, without distinction, at Meydan over the winter. However, the Fantastic Light gelding should be fit as a flea and returns to turf off a 2lb lower mark than when winning the Irish Lincolnshire at the Curragh at this time last year. Of course, the 9-year-old also won the Lincoln Handicap, off a 6lb higher mark, back in 2011 so, if he’s been rejuvenated by his astute trainer, he could be far from a forlorn hope in his attempt to win the race for a second time. 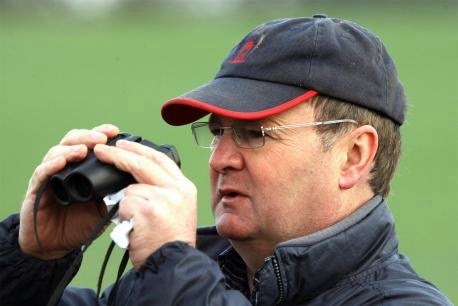 The one really ‘dark’ horse in the field is Jonjo O’Neill’s 4-year-old Unsinkable (33/1), who’s on a retrieval mission after finishing last of eleven, beaten 16½ lengths, on his reappearance at Lingfield four weeks ago. The Verglas gelding has clearly had his problems, but his form in Listed races at Lingfield and Newmarket last season suggests that his current handicap mark of 95 is fair enough, especially with leading apprentice Jason Hart taking off a further 3lb, and he’s another who could surprise some better fancied rivals. In fact , a return to the form that saw him beaten 4½ lengths by subsequent Winter Derby runner-up Windhoek in the Newmarket Stakes last May could make his current odds look very generous indeed by teatime on Saturday. In summary, the Lincoln Handicap is, as ever, fiercely competitive, but our three against the field are Tres Coronas (20/1 generally), Sweet Lightning (33/1 with Totesport and William Hill) and Unsinkable (33/1 with Bet365 and Bet Victor). Good luck!